Starting Monday 9/11 in participating locations, we as a community will be collecting monetary donations as well as supplies for the Houston Area Women’s Center. If so moved, please bring laundry detergent, gift cards (small denominations $10-20 for local businesses like Target, Home Depot etc. 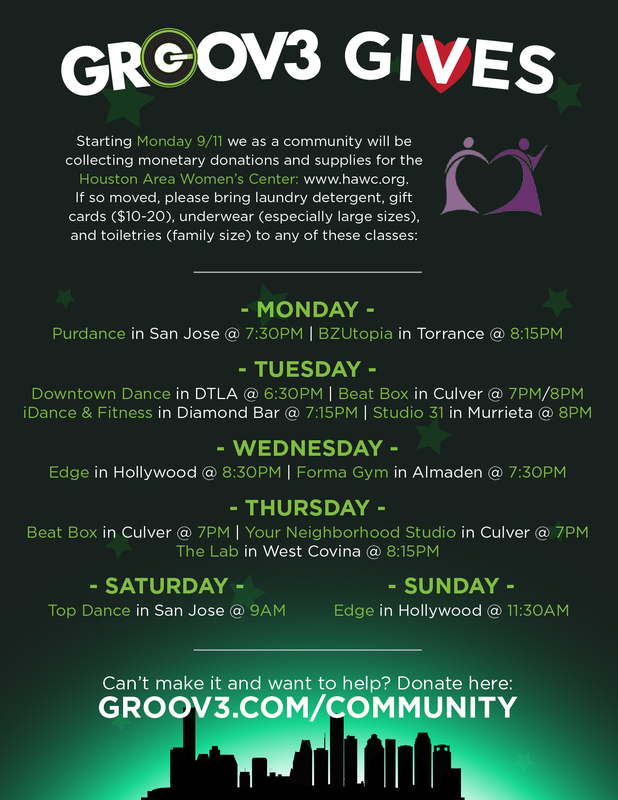 ), underwear (especially large sizes) and toiletries (family size) to any of these classes. If you wish do make a donation online, you may do so via the PayPal 'Donate' button on the main "Community" page.